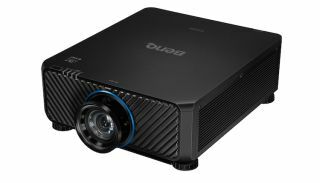 The What: The LU9715 BlueCore laser light source projector will make its debut at InfoComm. It delivers 8,000 lumens and a 100,000:1 contrast ratio for superior image performance even under bright ambient light settings. The What Else: The BlueCore laser engine provides significantly improved color fidelity through a dual color wheel system, support for 360-degree and portrait installation and 24/7-operation for expanded application opportunities. Combined with DLP technology, the laser projector achieves color accuracy that never degrades over time.